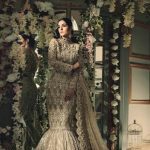 Here we share with you Pakistani designer bridal collection 2018. Recently different designers showcased their bridal collection on the ramp through beautiful models.Most of the bridal wear represent the traditional designs, culture and luxury embellishment. 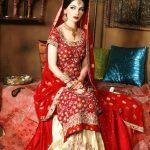 Some designers labels include the Queen Jewel bridal suites designs, Lock Virsa bridal wear, Legacy of Mughal bridal wear, give their bridal collection a modern touch. 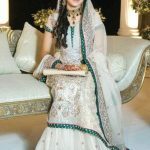 Pakistani bridal dresses are very attractive and elegant due to their designs. 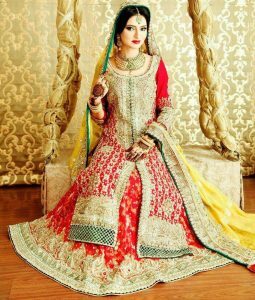 In latest designers bridal collection includes bridal dresses, mehndi dresses Barat and Walima dresses. 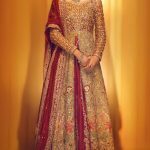 All these latest collection Pakistani designers adorn bridal wear with embroidery work of zari, Dabka along precious beading work. 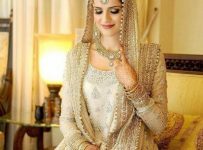 As you know the wedding is a great event for a bridal and she wants to look like princes. For this purpose, she searches out different designers collection and spends most of her time in searching. 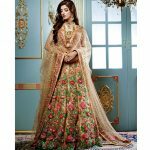 This is a right place for those brides who are ready for weeding, they must check out this page because here we upload latest bridal wear looks. 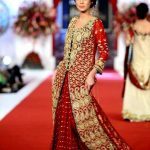 Maria B is one of the most leading and well known Pakistani fashion designer. People know this designer as a bridal designer and appreciate her work not only at national level but also international level. 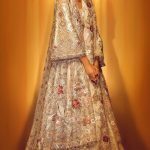 Recently this designer showcased their new bridal collection for 2018. She is doing beautiful experiment with other colors instead of red because people are switching to other colors. You can see this color change in new Maria B bridal collection in which she uses many other vibrant an elegant colors along with red. 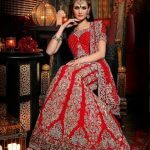 In this collection include lehengas, frocks, gowns many other kinds of dresses for wedding functions like Mayon and dholki. 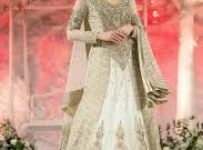 Beside this, you can also search out Rizwan Moazzam bridal wear collection and this bridal collection also designs according to the latest fashion trend. 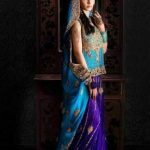 Here we also share with you latest Pakistani designers bridal wear dresses 2018 looks.